How Safe Will Self-Driving Cars Really Be? Ever since the idea was first broached by industrial engineer Normal Bel Geddes at the World’s Fair in New York in 1939, the self-driving car has seemed like an inevitability; not an if, but a when. And with the recent acceleration in interest and technology since the turn of the millennium, that “when” appears to be right around the corner. Over the past few years, giants of the technology world Apple and Google have indicated their intention to pursue autonomous vehicular design, with big-name manufacturers such as BMW, Nissan, Volvo and General Motors queuing up to adopt the idea. But in their eagerness to outrun each other and push ever-more enticing updates and abilities into a commercial marketplace, are these companies sacrificing safety for sophistication? One of the biggest qualms from self-driving sceptics is the unwillingness to entrust their own lives to a machine. Whilst entirely understandable, such a viewpoint relies a little too much on human instinct and neglects to take into consideration the facts. Since launching its test programme in 2009, Google racked up an impressive 500,000 miles behind the autonomous wheel by October 2013 without a single accident. Since then, they have logged 1.2 million hours in self-driving tests and admittedly, have suffered 14 minor fender-bender accidents – but not a single one of those was as a result of an error on the part of the computer. Rather, most were caused by a human driver colliding with the self-driving car, often by rear-ending them at a red light, for example. It seems almost unnecessary to point out that such collisions could easily be avoided if both cars had been self-driving. Of course, fully autonomous cars are still some way off, and resigning control of the vehicle will be largely confined to long motorway journeys, at least for the foreseeable future. However, as regards the safety of such resignation vis-à-vis the technology, it appears that computers will outperform humans in almost every aspect. Self-driving cars are able to read the road and make decisions on speed, positioning and evasive action based upon a complex network of radar, sensors, cameras and GPS imaging. Combining all of these techniques, the cars can build up a comprehensive 3D image of their surroundings, allowing them to categorise the received data as vehicles, cyclists, pedestrians and objects. This basically means that the cars can monitor their surrounding environment from every angle and position – something humans pointedly can’t. Furthermore, the machines are also able to react to developments and potential hazards with almost instantaneous precision, another talent beyond the scope of humans. And finally, we are prone to fatigue, distraction and boredom – not to mention deliberate transgression (drink driving or running red lights, for example). Computers never sleep. What’s more, autonomous cars retain the potential to communicate both with centralised traffic information sources and other self-driving cars on the road, meaning that they could dovetail seamlessly with each other to vastly cut down on fuel consumption, slash accident rates and reduce congestion as much as possible. Meanwhile, manufacturers could theoretically send updates and tweaks directly to the car’s inbuilt system without physically recalling the unit, thus improving model safety across the board. Frankly, the benefits seem incredible; the risks minimal… or do they? Ironically, one of the biggest selling points of self-driving cars could also be their most vulnerable pitfall. This ability to communicate wirelessly means that autonomous vehicles are prone to a danger not found on the road – hackers. Many “normal” cars already link their onboard media systems (radio, Wi-Fi and other entertainment options) directly to the network which controls all functional features of the car, including braking and engine management. As mentioned above, this allows manufacturers to access their car’s system remotely and upload updates effortlessly. It also lets individual units relay important data about performance and safety measures back to the carmaker, thus allowing them to process information from millions of units simultaneously. The dangerous potential should be clear for all to see. If a hacker is able to gain access to these networks, they could theoretically interfere with the engine operation, disable safety features or tamper with the brakes. Similarly, they could also relay false data back to the manufacturer, thus possibly skewing collated data and affecting the subsequent design and maintenance of millions of other units. In fact, this last danger need not arise from a malevolent hacker; it could even come about through a computer malfunction on its own. Tony Dyhouse, a specialist in cyber-security at Trustworthy Software Initiative (TSI), believes that these prospects mean that self-driving carmakers still have a lot of homework to do before their models are 100% roadworthy. He also pointed to evidence that car-hackers are very much already in existence, highlighting a manual which details the basics of car-hacking on enthusiast website Zone-H. “It’s quite conceivable that as the hacking of vehicles becomes more simple, it could just be in the hands of the person at home who wants to cause the neighbour some aggravation, it could be a prank… or it could be as serious as causing someone to swerve,” explained Dyhouse to SC security magazine. 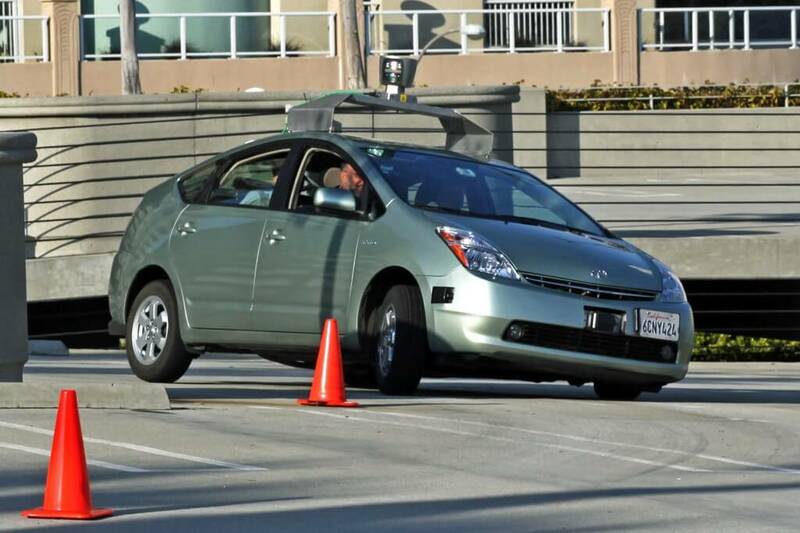 Clearly, the dangers for self-driving cars are very real. The potential for those with a malicious agenda and the capacity to act upon it means that unless safety measures progress at the same pace as the technology itself, autonomous vehicles could pose a tangible security threat for helpless drivers. However, if the same level of scrutiny is applied to the discipline as other areas of business and information control, there’s no reason why such threats can’t be eliminated. With the continued campaigns of Dyhouse and others like him, and with the necessity of manufacturers to avoid the unpleasant litigation that could result, it’s surely only a matter of time before completely safe self-driving cars become an everyday fact of life. Copyright © 2018 Intelligent Car Leasing. All Rights Reserved. Head Office: Skypark 1, 8 Elliot Place, Glasgow, G3 8EP. Intelligent Car Leasing is authorised and regulated by the Financial Conduct Authority (reference number 673209), not all types of business undertaken are authorised and regulated by the Financial Conduct Authority. Intelligent Car Leasing is a credit broker and not a finance provider. All vehicles include free mainland UK delivery; for full details on all deals please see our terms and conditions.